This week’s big planned Trump administration announcement of emergency investment and export rules targeting China is out, and it doesn’t include any rules or even mention China. By now it should be clear that Trump is bending over backwards to soothe Beijing and avoid a China trade war. Instead of detailing tough new emergency measures, including a reported 25% limit on Chinese ownership in firms buying key technology, Trump will instead back legislation moving through Congress to update the Committee on Foreign Investment in the United States, or CFIUS. Last week, Trump called members of Congress to the White House to stop them from interfering with his plan to save 70,000 Chinese tech jobs at communications equipment firm ZTE put at risk by U.S. sanctions. 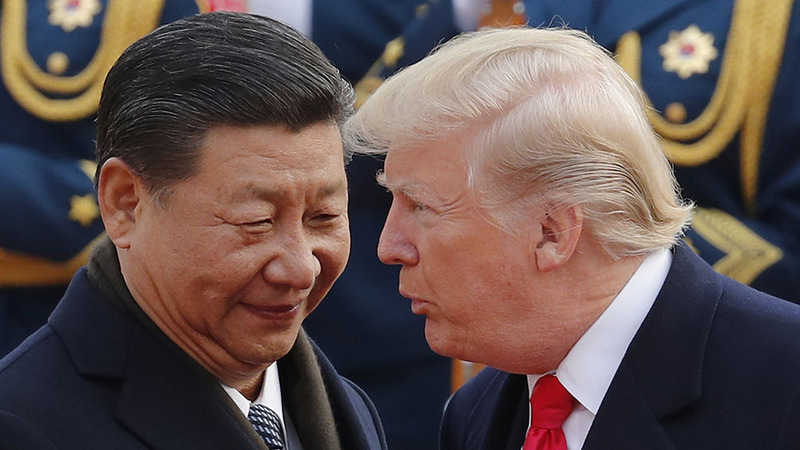 Trump’s moves appear designed to facilitate progress in trade negotiations ahead of a July 6 Trump tariff deadline that may dramatically intensify the emerging China trade war. On that date, the U.S. is to impose 25% tariffs on $34 billion worth of Chinese high-tech-related imports, with tariffs on another $16 billion in goods due shortly thereafter. China has said it will match Trump tariffs dollar for dollar, whenever they are imposed. The Dow Jones industrial average, S&P 500 index and Nasdaq all rallied early Wednesday on hopes that Trump’s move to delay investment and export restrictions might keep the China trade war on the back burner. But they reversed sharply lower as the bond yield curve narrowed. The Financial Times reported on Tuesday that Trump had been “spooked” by Monday’s market sell-off, which helped spur the change in plans. Trump has already made clear that he wants a trade deal, not a China trade war, and he came close to reaching one in May that would have had Beijing buy an additional $70 billion in U.S. goods. Trump touted the emerging deal, tweeting that China would “buy massive amounts of ADDITIONAL Farm/Agricultural products” from the U.S.
China appears open to such a deal, if it can avert tariffs and trade restrictions that jeopardize its “Made in China 2025” strategy. Trump’s latest decision could be a reprieve for the semiconductor sector. Chip equipment from key U.S. suppliers Applied Materials (AMAT), KLA-Tencor (KLAC) and Lam Research (LRCX) was seen as one likely area for controlling exports. Chinese companies account for about 6% of the group’s sales. Such restrictions would “severely limit China’s ability to develop greater self-sufficiency in chip manufacturing,” a key goal of its “Made in China 2025” strategy, Moody’s says. On Tuesday, the House cleared the modernized CFIUS bill, which now will move to a conference merging it with a Senate-passed bill.